USA Automotive in Raleigh, NC has a team of highly qualified technicians on staff ready to meet all of your auto repair and service needs. Our experts are skilled at keeping you on the road and on the way to your next destination. 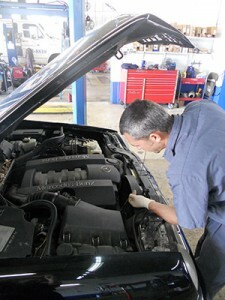 We understand that auto services are nothing more than an interruption to your already busy day. However, receiving quality auto services is vitally important as it can help extend the life of your vehicle. Quality Auto Service, Serving the 27604 Area! 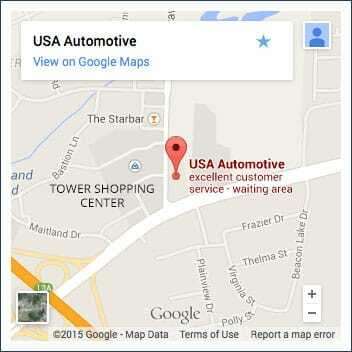 At USA Automotive, we are proud to service vehicles in the 27604 area as well as surrounding areas throughout Raleigh. As one of the leading auto maintenance specialists in the area, our team can handle everything from preventive maintenance services, such as: oil changes, tire rotation/balance, air filters, and fluid checks – to more serious mechanical issues, such as: emissions and brake repairs. Make an appointment to see us, and we’ll keep you two steps ahead of any mechanical, electrical, or engine troubles for enhanced overall performance. When you take care of your vehicle, it will take care of you and your transportation needs. How can Raleigh drivers take better care of their cars? 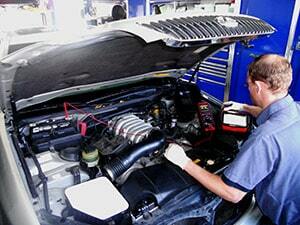 By allowing our auto maintenance and repair specialists to design a preventive maintenance plan. All of our timely maintenance services are proactive. We know the secret to avoiding costly repairs and breakdowns, and it’s adhering to our quality maintenance schedules. Don’t wait to get towed! Drive over, to see us today! It’s better (and cheaper) to drive over to USA Automotive to receive affordable services than to be carried in by a tow truck. Whatever state of repair your car is in, our mechanics perform the most appropriate, most reliable automotive services in Raleigh, NC! Our ASE-Certified techs will handle everything from simple oil changes to complicated engine repairs. They have the experience and expertise to handle repairs for all makes and models of vehicles. The first step for any auto repair is an accurate diagnosis. We pinpoint the exact vehicle problem and offer you the quickest and most affordable repair solution. You want to get back on the road as soon as possible, and our team will get you there. You want to be charged a reasonable price for auto services, and we’ll protect your wallet by keeping your budget in mind. Our team knows how to take care of your vehicle from bumper to bumper. USA Automotive in Raleigh, NC keeps you safe at all times making sure your vehicle’s brakes, engine, suspension, fuel system, and more are functioning properly for you. We stay abreast of all the latest technologies and are a TECH-NET Professional Auto Service Shop. USA Automotive’s ASE-Certified technicians are held to a higher standard as part of a TECH-NET Approved shop. In addition to using the best quality auto parts for all repairs, we offer our customers free roadside assistance for an entire year after receiving $25 worth of auto service. Our Complimentary Roadside Assistance Program includes towing, flat tire help, key lock-out assistance, battery jump-start, and more. Keep your vehicle in tip-top shape, and get on the road to enhanced performance, starting with just one phone call: 919-249-5295. We also offer convenient, online scheduling for all of our automotive services. Click over to our online scheduling system to reserve a day and time that works best for you! Our team is waiting to serve you, and we’re just one click away!! We Guarantee Our Auto Repair Services! Our repairs are guaranteed for both parts and labor for 36 months or 36,000 miles, whichever comes first. Today’s vehicles are extremely sophisticated machines with computer-controlled electronics and components working together to keep the engine operating efficiently. By maintaining your vehicle on a regular basis in our auto repair shop, you can be assured of top performance and safety, increased gas mileage, less costly repairs, and smoother operation. The job of our auto mechanics is to keep your vehicle performing the way the factory designed it to perform. This will not only save you money in the long run, but will help you extend the life of your vehicle. If there is an auto service not mentioned here, please contact us at our auto repair shop in Raleigh, NC! If it involves a car, truck or van, we’re certain our auto mechanics can repair it. Get FREE Roadside Assistance for a Year When You Come to USA Automotive! USA Automotive is proud to be a TECH-NET Professional Auto Service Shop. Being a TECH-NET approved shop means that we uphold the highest ethical standards, have ASE Certified Mechanics, practice sound business principles, use high quality auto parts, and overall provide a level of auto repair that is way above the norm. In doing so, we are happy to offer our customers FREE roadside assistance for a year after you spend just $25 on services with us! With this “ToYourRescue” Complimentary Roadside Assistance Program, simply come in and have us do a little work on your car, and then for the next 365 days you have access to two free roadside assistance services, whether it be towing, flat tire help, key lock-out assistance, battery jump-start, or more. Check out the full details here, or talk to any of our friendly team members, and we’ll be happy to help!